Experience a fresh burst of ginger and blood orange topped of with a solid nicotine kick (9.5 mg nicotine/portion) with G.4 Blush Slim All White Portion. 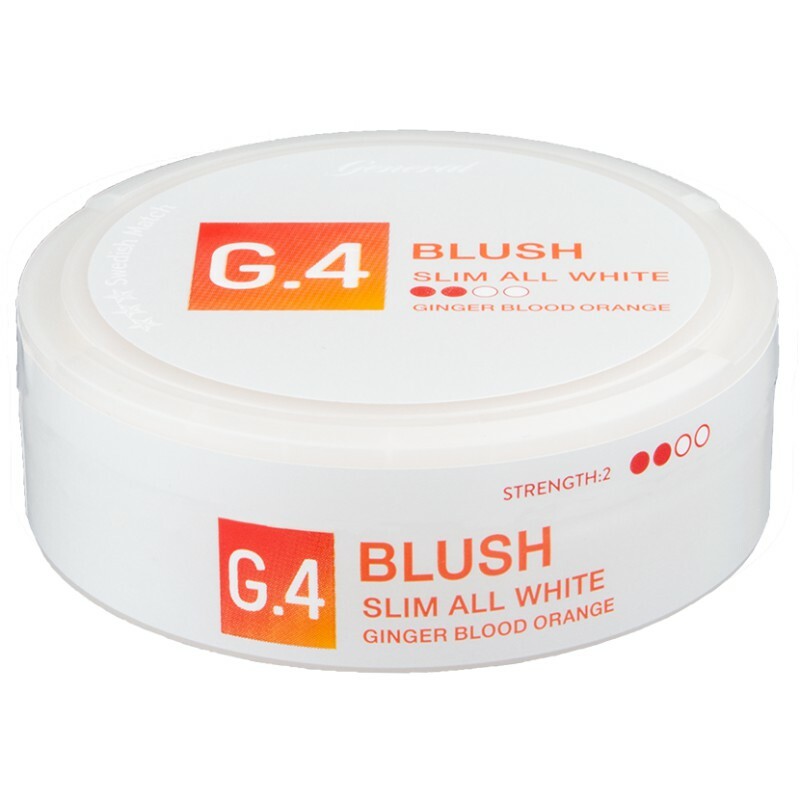 G.4 Blush Slim All White Portion by Swedish Match is a snus made for those who prefers All White portions and want something bursting with refreshing flavors. The sweet and spicy flavor combination of blood orange and ginger is complemented with hints of Seville orange and carrot. These slim and All White Portions are designed for comfortable fit and minimal drip while they deliver a solid punch and nicotine kick (9.5 mg nicotine/portion).